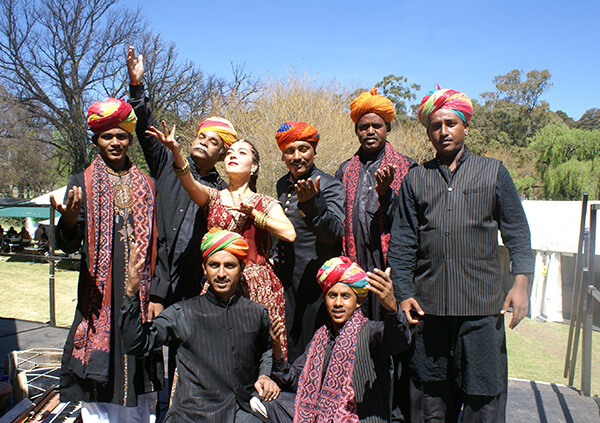 Mesmerising music created by award-winning Rajasthani World Music band Rajasthan Josh. The performers create magic with the ‘nagada’, a drum they have mastered over generations of traditional training, along with vocal styles ranging from mystic Sufi to bhajans & popular folk songs of Rajasthan. With sold-out shows across the globe, this band can’t be missed by those who would like to enjoy a once-in-a-lifetime experience of sublime and electrifying music.